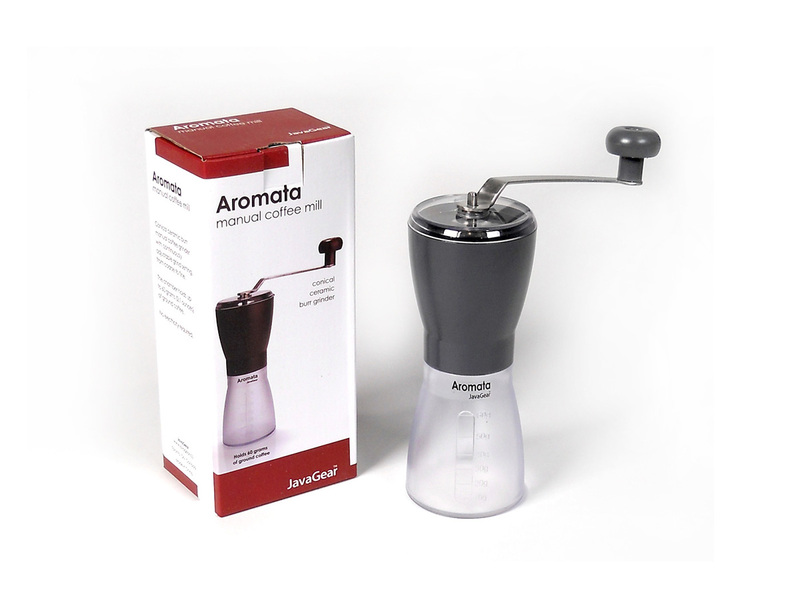 Introducing the new Aromata Coffee Mill by JavaGear (makers of the JavaJug). Like the Hario Slim grinder, the Aromata is a manual grinder that’s great for travel as well as everyday use. 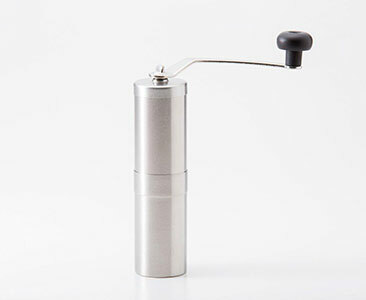 It’s physically about the same size as the Hario Slim (just a little taller) and features a larger capacity ‘holding tank’ for the ground coffee. It holds up to 60 ml. of ground coffee. 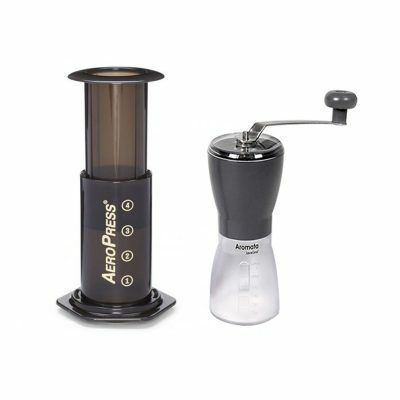 As a manual grinder, it uses no electricity, so you can get fresh ground coffee anywhere – and a bit of arm exercise too! The grind quality is very even, and the low speed manual grinding action provides a superior tasting cup of coffee compared to a typical high speed blade grinder. Scoop your beans into the plastic dish at the top, rotate the grinding wheel, and in a few moments you’ve got nicely ground coffee in the plastic container below. Its adjustable ceramic conical burrs let you easily set the fineness or coarseness of the grind using a rotating cogwheel at the top. 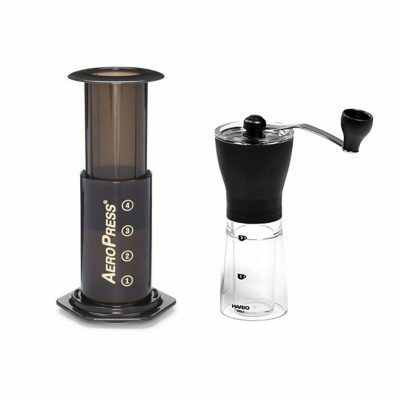 You can even remove the plastic container and grind directly into the AeroPress, which makes it even more portable!